Train your brain for creativity with Brainbean! Excited to announce Brainbean for iPad! 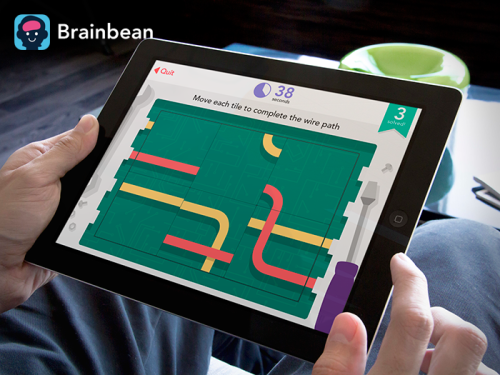 Brainbean is a free creative brain training app for Apple iPad. The app features eight creativity training games to make you more creative and challenge your thinking. Get it today for free: Click here to download Brainbean from the iTunes App Store. I’ve spent the last year working on Brainbean and I can’t emphasize enough how excited I am to launch the app. After months of researching creative education, designing, developing, and testing, you can finally try my latest project out for yourself by downloading it for free. The app uses time-tested, research-backed strategies for challenging your creativity. From Remote Association testing to Incomplete Figure drawing and Raven’s Progressive Matrices, the games within Brainbean are fun for both adults and children. I hope you love it. Download Brainbean here. And hey, while we’re at it, will you help me spread the word about Brainbean by reblogging this, tweeting it, posting it to Facebook, Pinning the images and giving shoutouts to anyone who might be interested in the app?